Today is my birthday and everyone knows birthdays are very special days indeed. Cause for celebration! Bring out the cake and light the candles! Get out the piñata! No, wait. Scratch that. I’m not a kid anymore. Sigh. And then I was 5. There’s nothing like being young when it’s your birthday. The anticipation of the day. All the birthday cards arriving in the mail, saying, “Now You’re Five!” Or six or seven! The excitement of unwrapping presents! Who can forget their first Barbie? On my 6th birthday I received two! A blonde and a brunette. 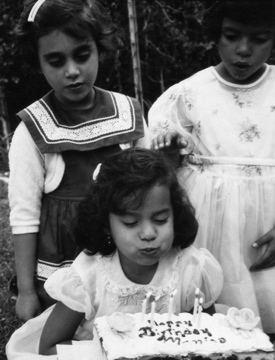 Yes, birthdays were so much fun then. What happened? Oh yes, I remember. We got old. 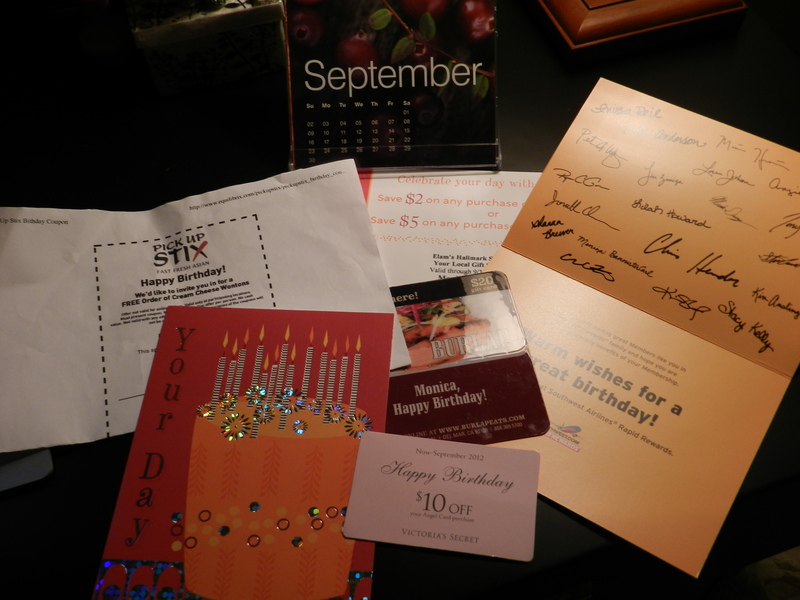 These days, the only birthday cards I get in the mail are from businesses wanting well, my business. They write such sweet sentiments such as: “Happy Birthday! Save $5 off any purchase of $50 or more.” Wow, now that’s a gift. Technically, I am as old as Disneyland and I’m not going to tell you how old Disneyland is. I was born on a Friday and, according to Mother Goose, Friday’s child is loving and giving. I was also born on the first day of autumn. Another reason to party hardy. Bruce Springsteen has the same birthday as me and that makes us kindred spirits. We were both born to run! At least that’s what I believed in my teens and twenties. Now, I’ve got this bum knee that acts up whenever it feels like it, and I’m taking a statin to keep my cholesterol out of the danger zone. And, no matter how many times I get my hair “done,” and ladies, you know what I’m talking about, those blasted gray hairs keep popping up. I doubt Mickey Mouse has the same problems—and he’s 82! 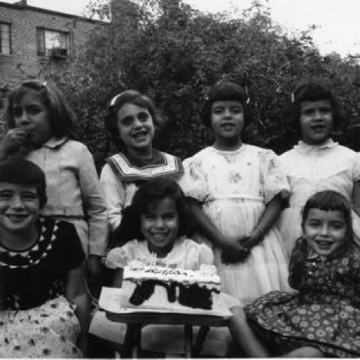 A birthday party with friends, party dresses and cake. What could be better? So this year, in honor of the day I was born, I’ve decided I’m only going to celebrate my birthday in years where September 23rd actually falls on a Friday. For those are the only days when it’s my true, honest to goodness birthday. Which makes me today, roughly, give or take a few, about seven years old. Hooray, I’m a kid again! Ok, I know what you’re thinking. Ain’t gonna fly. In which case, I’ll also count the years in which the 23rd of September falls on a Thursday or Saturday because that’s close enough to Friday. That would put me in the ballpark of 21, so I can make a toast to myself since, guess what? Today is a Thursday! Yay, I’ve reached drinking age! Somebody, get me a Mai Tai. Make it a double! Wait, I’m getting tired from all this hoopla. Sigh. At my age, the best gift of all is nothing more than an afternoon nap. And I’ll drink to that!